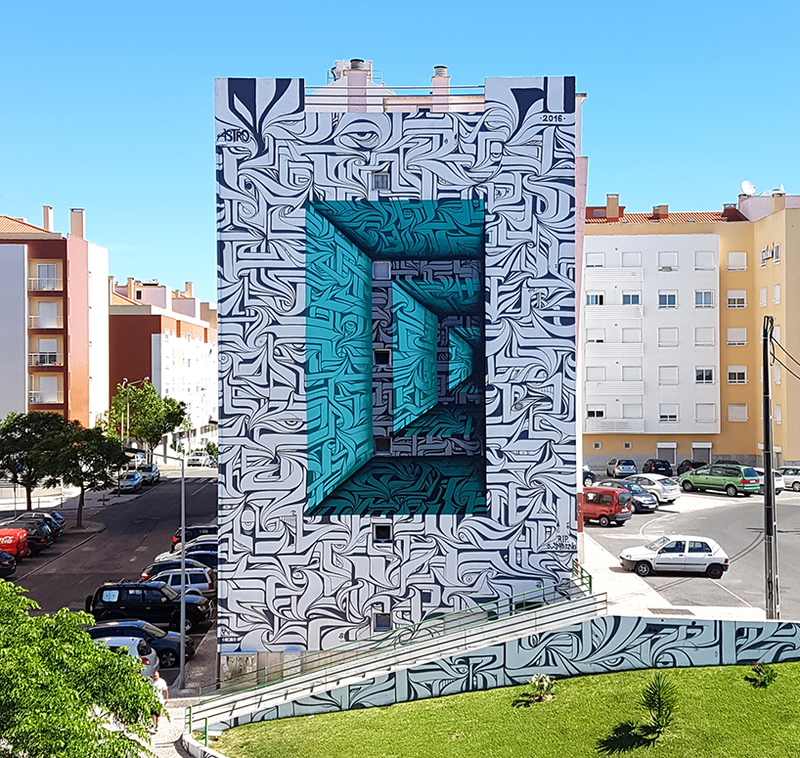 Graphic artist Astro has lent his hand to a public art initiative in Loures, Portugal by transforming a building into a psychedelic wormhole! The mural, which was created over the side of a residential building and surrounding walls, employs the use of hue shifting and depth in order to fool the eye into seeing a deep tunnel, covered in Astro’s signature style of geometrically-themed graphic design. The design also bleeds out onto nearby walkways and ramps! 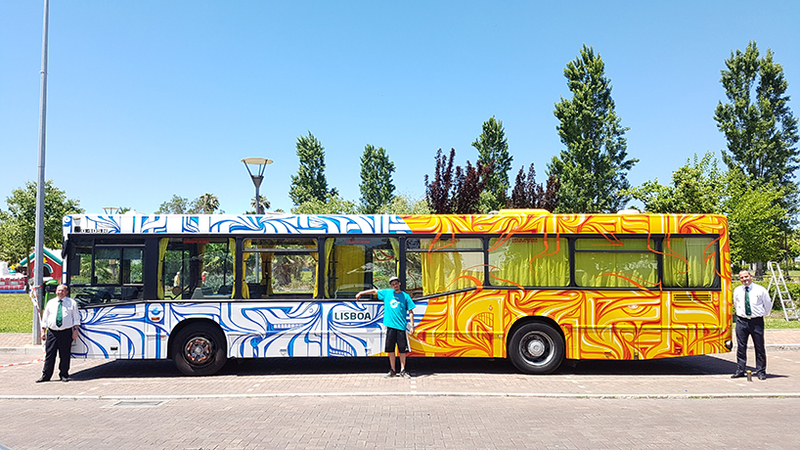 The art was created for the Loures Arte Pública project, and also includes a bus that Astro covered in his artwork as well! This year’s Loures Arte Pública debuted on June 25th, featuring a number of artists alongside Astro, so make sure to check it out to see more of the latest international street art!